Our Junior and Senior infants classes had so much fun today taking part in an egg hunt. The girls even brought in their own bunnies from home to join the hunt! 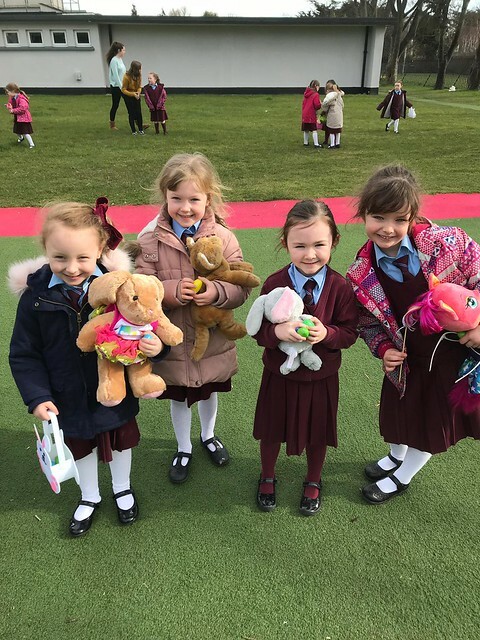 The girls had to find their teddies and then look for lots of chocolate eggs hidden around the school grounds. Afterwards the girls danced and sang some songs in the yard!